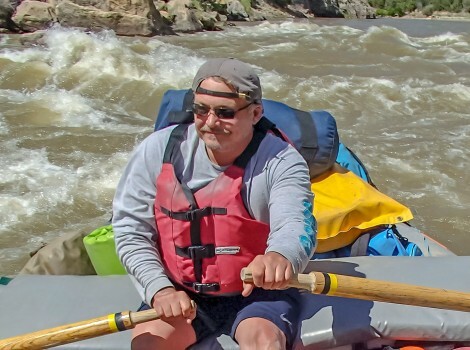 Ohio Wesleyan professor Sean Kay, whose current research focuses on grassroots campaigns for river conservation, also is a global securities expert. He was interviewed this week for an NPR piece on NATO's 70th anniversary. As it marks its 70th anniversary, the North Atlantic Treaty Organization continues to earn criticism and scrutiny from President Donald Trump and others. With NATO’s leaders in Washington, D.C., to commemorate its seven-decade milestone, NPR’s Ben Bradford takes a look at the organization’s past, present, and future, including an interview with Sean Kay, Ph.D., Ohio Wesleyan University’s international security expert. Kay, a professor in Ohio Wesleyan’s Department of Politics and Government since 1999, also serves as chair of OWU’s International Studies Program. Off campus, Kay serves as an associate of the Mershon Center for International Security Studies at The Ohio State University, and he has been a consultant to the U.S. Department of Defense, the U.S. Department of State, and the National Intelligence Council. Learn more about Kay and his background at www.owu.edu/politics.